Over weeks of training in the opulent but oppressive palace, Lei and eight other girls learns the skills and charm that befit a king's consort. There, she does the unthinkable — she falls in love. Her forbidden romance becomes enmeshed with an explosive plot that threatens her world's entire way of life. Lei, still the wide-eyed country girl at heart, must decide how far she's willing to go for justice and revenge. I never knew I needed this story in my life but now that I have had my eyes opened, I need this book immediately. 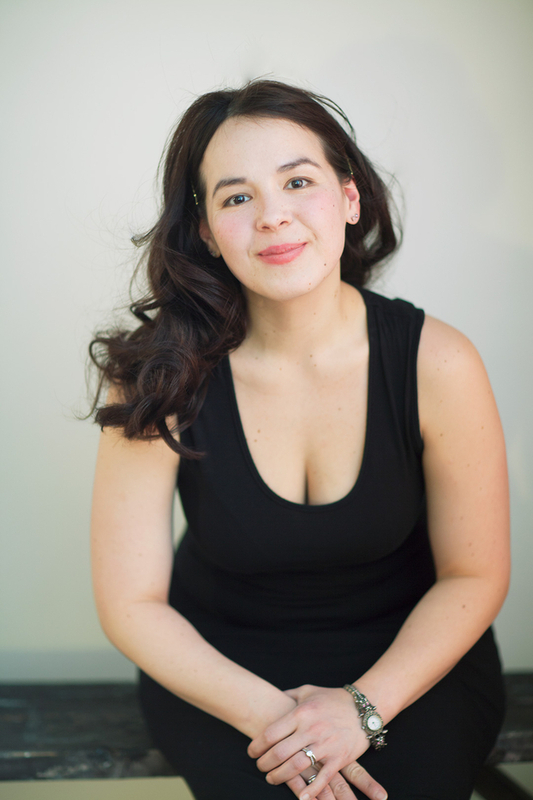 Natasha Ngan is part young-adult author, part yoga-teacher, part habitual nap-taker. She grew up between Malaysia and the UK, speaking Chinese with her mother mainly as a way to talk about people without them understanding. She studied Geography at the University of Cambridge and later worked as a fashion blogger, social media consultant and freelance writer. Natasha recently moved to Paris, where she likes to imagine she drifts stylishly from brasserie to brasserie, notepad in one hand and wineglass in the other. In reality, she mostly spends her time lost on the metro and offending locals with her French. She is represented by Taylor Haggerty at Root Literary. Her YA novels THE ELITES and THE MEMORY KEEPERS are out now from Hot Key Books, and GIRLS OF PAPER AND FIRE will be published in Fall 2018 by Little Brown. First in a fantasy trilogy that blends the cultures of South Asia and colonial-era France and features a girl with powers to bind the souls of the dead. In a land ruled by a terrible tyrant and torn apart by threats of war and rebellion, Jetta and her family are known for their beautiful, almost magical, puppet shows. The trick is to make the puppets appear to move without sticks or strings. But the truth is Jetta has a secret ability that allows her to see the recently deceased and bind them to her puppets using her own blood. When the family's talents land them a coveted performance spot aboard a royal ship to Aquitan — a ship that is rumored to have a magical spring that cures all ailments — Jetta makes it her mission to uncover the cure for herself. Along the way, she meets a young smuggler with secrets of his own to protect, and Jetta finds herself face-to-face with difficult truths and impossible decisions that will change everything. "Jetta has a secret ability that allows her to see the recently deceased and bind them to her puppets using her own blood"
The female MCs are really killing it this week with their badassery. I'm pretty sure that this book is going to be a win for me. What do you guys think? Are they books on your TBR? Is this the first time you're hearing about them? Let me know! These books aren't on my TBR, but they do have some beautiful covers <3 Especially the first book. 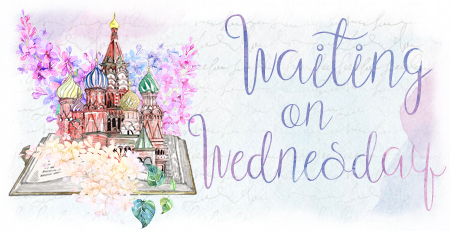 I hope they are on your TBR now! 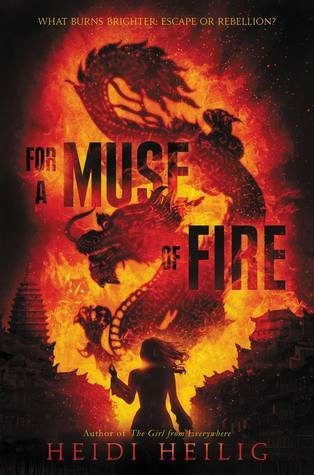 I'M SO EXCITED FOR MUSE OF FIRE!! Heidi is amazing and her writing is best and I just?!? I want to read all her books, eep. Also super keen for Girls of Paper And Fire (fire is popular in titles these days hahha) and didn't realise it has an f/f ship and that's amazing!! Need!! Both of these are going to be amazing, I can't wait! I'm so glad you mentioned that the forbidden romance is between two female concubines. Now I really really want it! Finally something different from how these books usually go! And For Muse of Fire sounds so good too. I want them both now so badly! It really should be in the synopsis, because I wanted this book before knowing that but knowing about it makes it to the top of my TBR! I haven't seen these and I do think I want these as well! You definitely want them, they're going to be amazing! Omg I'm so, so excited for Girls of Paper and Fire... it's too stunning, I can't handle it. 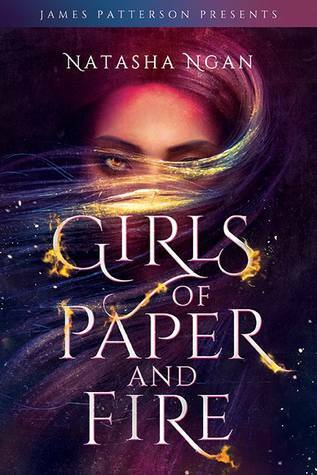 Girls of Paper and Fire is one of the prettiest covers I have seen in ages and OMG I NEED IT. You always pick such awesome books! Right?! I think so too. And that's what I'm here for, to pick awesome books to make the TBR piles grow haha. She binds the dead to puppets??? I am instantly both terrified and intrigued!! I'll definitly be checking out both of these! Omg, I didn't know Heidi Heilig was coming out with another fantasy series!! I'M SO SHOOK AND HAPPY WITH EXCITEMENT AHHH *dances around* Also, I ADORE THE COVER FOR GIRLS OF PAPER AND FIRE. Asian heroines for the win!!!! Ahh, those two covers are AAAAAMAZING :D I love the second one the most, haha. Curious about these books now. <3 Thank you for sharing lovely :) I hope you will love them both so so much when you get to read them. The book is very well written. Within a few pages, I found myself fully immersed in the story, and couldn't put the book down. If this was a book being marketed to actual adults, I would give it four or five stars. It is merely my concerns about tweens or young teens that makes me give the book such a low rating. I hope this helps you with a purchase decision concerning "Girls of Paper and Fire."